The sounds, the smells, the colors, the flavors and the soul of the city, all together in one place. The mythical Bolhão Market, in the middle of Baixa (Downtown), is one of the most picturesque spots in the city. Classified as a property of public interest in 2006, Bolhão Market will be modernized soon. This may be the last opportunity to get to know one of the most traditional places in the city, where the vendors’ loud chants selling their fresh blend with the colors and smells of traditional products. Built in 1914, this market is accessed by four of the city’s most central streets: Fernandes Tomás, Alexandre Braga, Rua Formosa and Sá da Bandeira. However, since the first half of the nineteenth century there was a small market there, with some stalls selling fresh produce. Bolhão (big bubble, in Portuguese) was named after a water bubble formed by a creek that used to run through it. Hours: Monday to Friday, from 08:00 to 17:00. Saturdays: from 07:00 to 13:00. 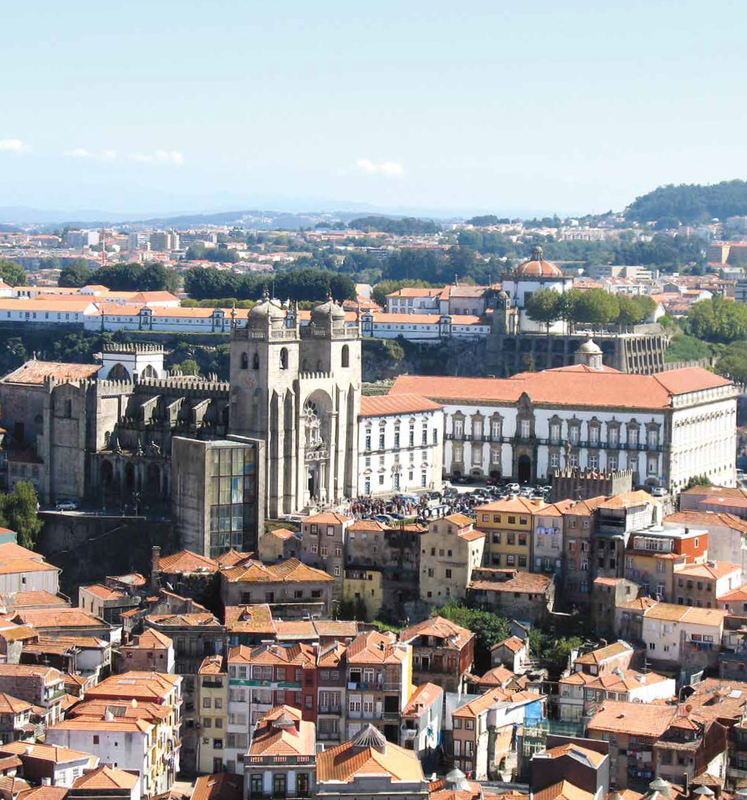 The Porto Cathedral began to be built in the twelfth century, but over the centuries it received influences of the Renaissance, Baroque and Rococo periods. Just the architecture of the Cathedral of Porto is sufficient to be considered one of the jewels of the city. The Gothic initial construction, conspicuous in the cloister and the Chapel of São João Evangelista, together with the singularity of the Blessed Sacrament Chapel and its silver altar. The Baroque of the eighteenth century is present in the frescos of the chancel and sacristy, by Nicolau Nasoni, and in the tiles of the cloister. The interior of the cathedral is a real treasure, with invaluable furniture, consisting of tables and sinks in rare marble, the mirrors trims, cabinets and a black wood clock in Rococo style. of the privileged viewpoints in the city. From that point it is possible to behold the area of Barredo, the River Douro and the city of Gaia. It is the heart of the city, where heads of state are received, victories are celebrated and important dates such as New Year or St. John are commemorated. 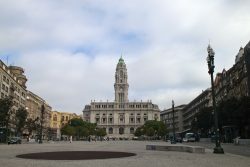 In fact, the space that is commonly known as Avenida dos Aliados and includes Praça da Liberdade (south) and General Humberto Delgado Square on the north side where the City Hall is located. The central location and its dimensions are ideal to welcome thousands of people, being therefore the chosen place to celebrate great moments of the city. 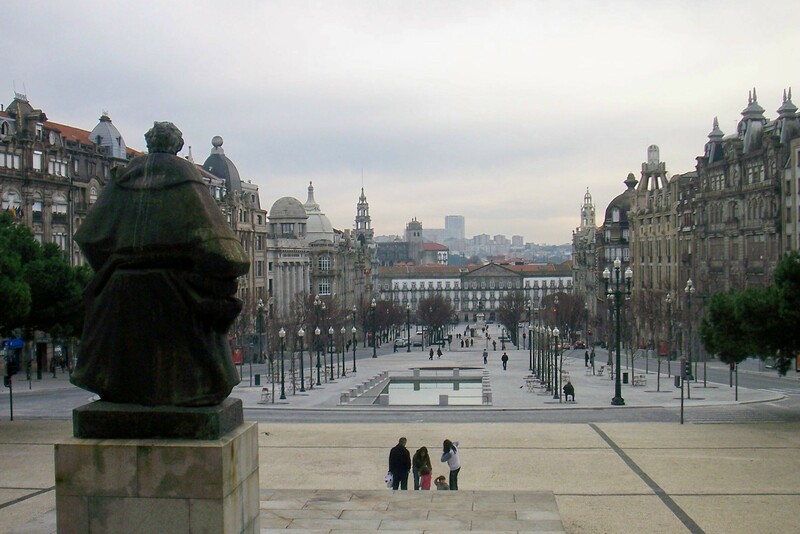 Granite predominates in the buildings, many of them true works of art built during a golden age of Porto. Plans to make this place a public square go back to the seventeenth century, but it would take several years before the works progressed. The agricultural fields gave way to more modern streets, but it would only be in the nineteenth century for this place to become the political, economic and social center of the city. Cafes and taverns occupied a space which later was replaced by banks and offices and today, in addition to terraces and restaurants, it also houses hotels and shops, as well as statues and sculptures that contrast with the water reflection and granite pavement of recent construction. The works of the avenue began in 1916, with the demolition of the previous municipal buildings. The new City Hall results from a project of the architect Correia da Silva dating back to 1920, but the installations were only completed in the 50’s. However, in the 21st century, due to the construction of an underground station in the Aliados, the space would once again be remodeled in a project by the architects Álvaro Siza Vieira and Eduardo Souto Moura.